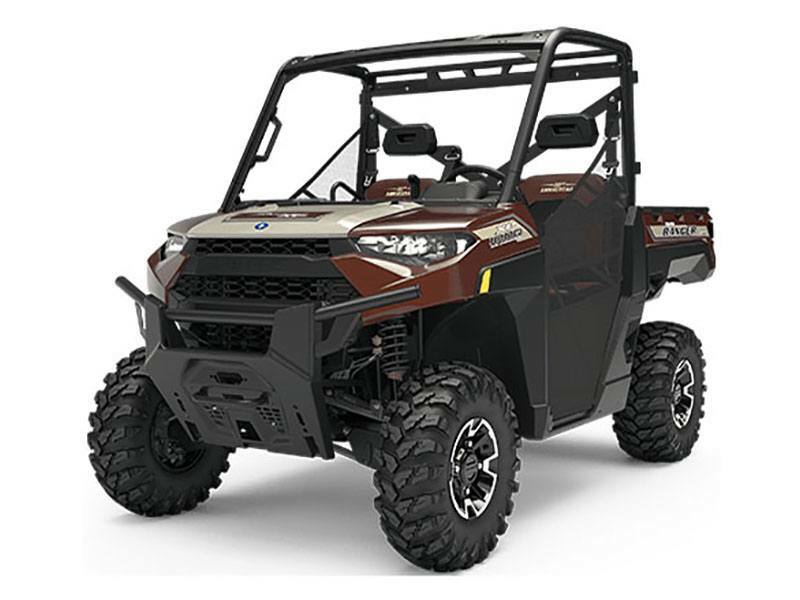 Packed with 100+ consumer-inspired improvements and innovations, the RANGER XP® 1000 is the industry-leading premium utility side-by-side. 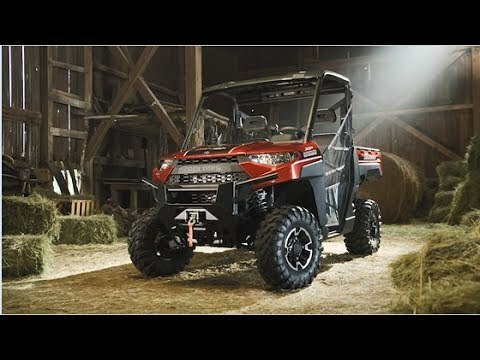 UNDISPUTED KING OF POWER: The RANGER XP 1000 delivers the utility performance and accelaration you expect from the industry's most premium SxS. Its ProStar® 1000 engine delivers 82 HP and 62 lb-ft of torque to take on the toughest tasks. PRECISION NEVER FELT SO SMOOTH: The one-piece chassis makes this beast more rigid and more capable of delivering a super smooth ride for anyone who loves to get off the grid. The RANGER XP 1000's industry-leading 11” of suspension travel and 13” of ground clearance will conquer the rockiest terrains getting you to the big game hunt. PRODUCTIVITY POWERHOUSE: Turn power into productivity with 2,500 lbs. of towing capacity — the most towing capacity ever found in a utility side-by-side. The RANGER XP 1000 is purpose built so you can haul more, work harder, and get more done. EXTREME COMFORT: Every detail of the refined interior puts the driver first for unmatched comfort and convenience. Legroom is enhanced by 5”, seats are contoured, storage is expanded, gauge information and visibility is amplified and controls are driver-centric. AMPLE STORAGE: The innovative cab comes standard with 13.5 gal. of storage, including under-seat driver storage, flip-up passenger seat configurable space, and in-floor features for D-Rings. IN-CAB ESSENTIALS: The redesigned dash is equipped with dual gloveboxes, 2 bottle holders, and 6 oversized cup holders for tumblers or cell phones. COMFORT & CONVENIENCE: All-day comfort comes standard with the seat slider design and 25% thicker cut-and-sew contoured seats. TOUGHER OVER TIME: This machine only gets tougher over time with the heavy-duty PVT clutch system and 32% larger drive belt for longer life. 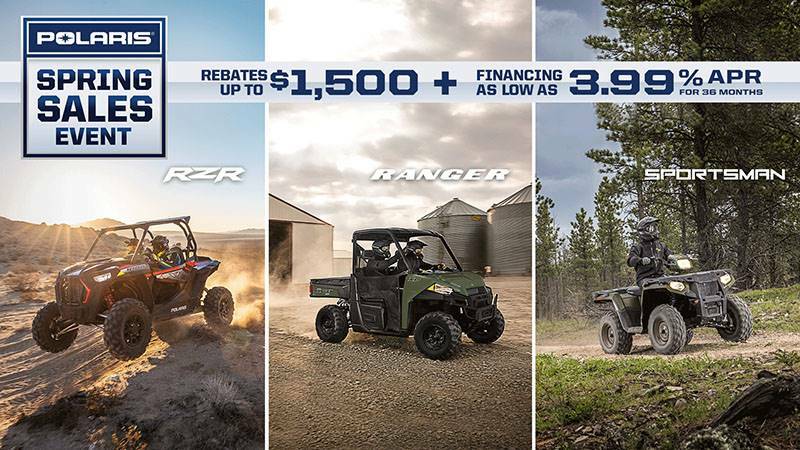 The RANGER XP 1000 is more reliable than ever — perfectly paired with a heavy-duty transmission and driveline that sets the standard for strength and toughness. OPTIMIZED THROTTLE MODES: Standard throttle modes coupled with improved slow-speed clutch engagement deliver ideal throttle performance in any application and precise, no-lurch acceleration. HEAVY-DUTY TIRES: The massive 6-Ply 27” Maxxis® tires are taller and wider with a larger footprint, providing outstanding traction and puncture resistance for rocky terrains and cacti on the ranch. MORE PROTECTION: When the terrain rears its ugly head, the full-body skid plate and 13” of ground clearance provides the machine with more protection than ever before. BOX CAPACITY & VERSATILITY: The RANGER XP 1000's cargo box redefines versatility with 11.5% more cargo volume and innovative features that provide hauling solutions for any job. The new tailgate handle and latching mechanism make it easier to load and unload the bed box. TOTAL CONTROL DOWNHILL: Head downhill with up to 1,500 lbs. of payload capacity and remain in control of the vehicle throughout the entire descent. The Engine Braking System increases the effectiveness of braking, minimizes wear and tear on the tires and brakes, and increases rider safety.